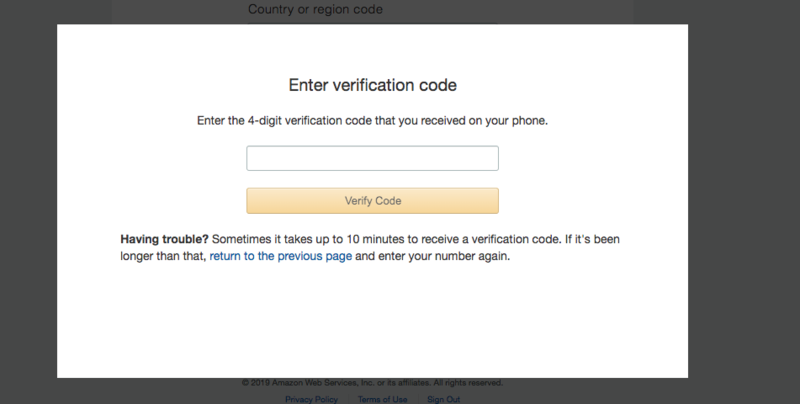 NOTE: PLEASE TAKE INTO ACCOUNT THAT ONCE YOU HAVE CREATED YOUR AMAZON AWS ACCOUNT (STEP 1), IT MAY TAKE UP TO 24 HOURS FOR YOUR ACCOUNT TO ACTIVATE. ADDITIONALLY, ONCE YOU'VE REQUESTED TO GET YOUR AMAZON AWS ACCOUNT OUT OF SANDBOX MODE TO START SENDING EMAILS (STEP 4), AMAZON MAY TAKE UP TO 48 HOURS TO APPROVE YOUR REQUEST. 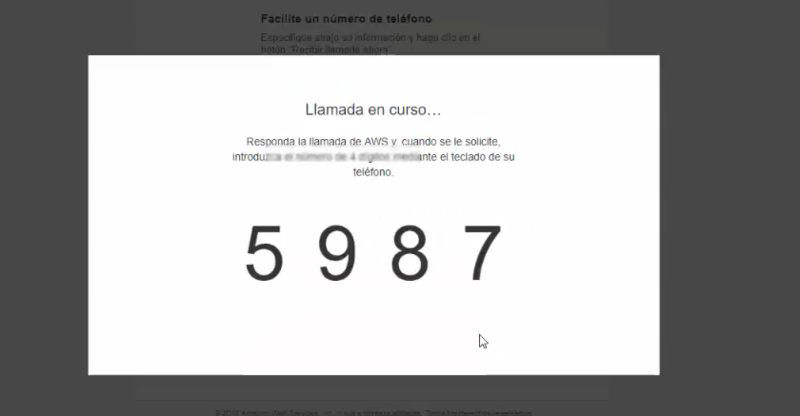 1.1 Open https://aws.amazon.com/ and choose Create a Free Account. 1.2 Enter the required information by following the instructions. a. 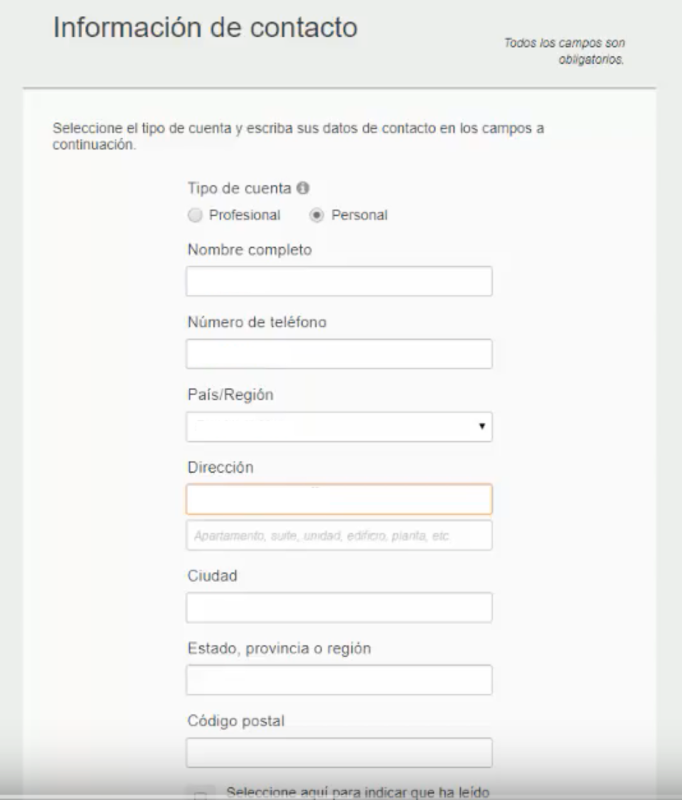 Enter your contact information: Enter the required information in each field. b. 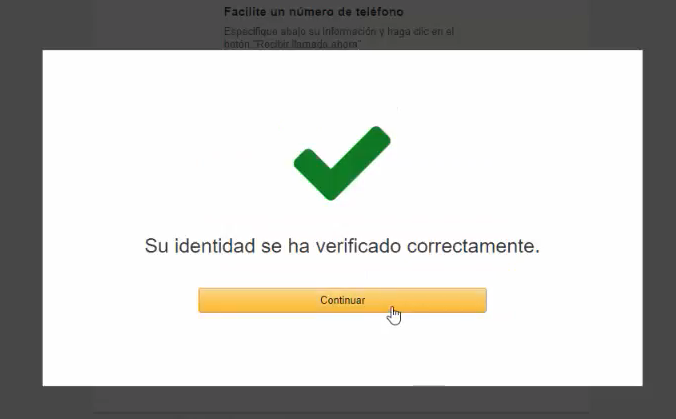 Enter your payment details: Amazon requires you to enter valid payment information to verify your identity and protect the service from fraud. They may make a small US$1 temporary charge to verify that the card you entered is valid and has not been stolen. Don't worry: this amount will be returned to your balance as soon as your card's validity has been confirmed. c. Verify your phone number: Part of the sign up process consists of getting a phone call or a text message on your mobile and entering the verification code on your phone. d. Choose your plan: Choose the Basic/Free Plan. e. Sign in to the Console: The Console is where you can find all of your Amazon AWS services. The service we need to connect to ConvertLoop is Amazon SES (Simple Email Service). 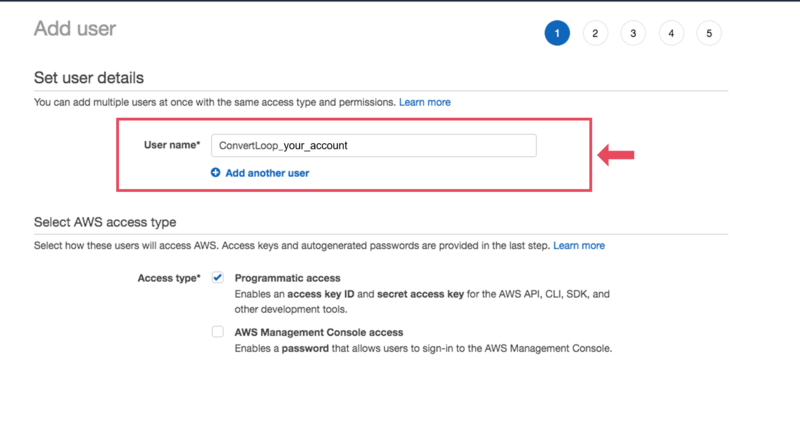 Now, you must create a "user IAM" within your Amazon AWS Account to continue along the process of integrating Amazon SES to ConvertLoop. 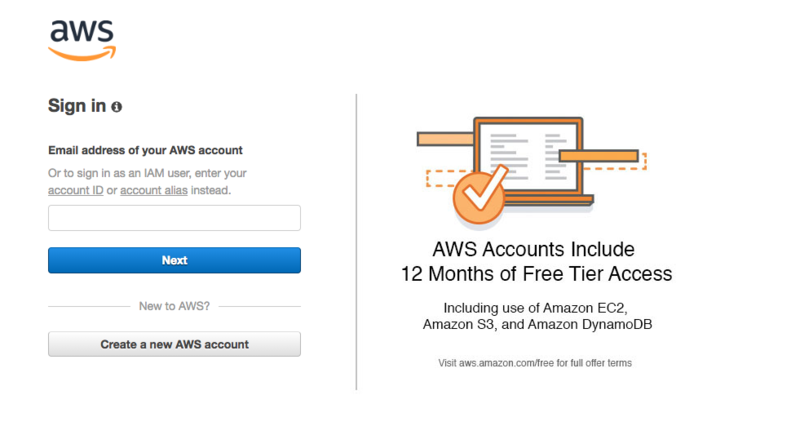 2.1 Sign into your Amazon AWS Account. 2.2 Select Virginia as your Region. Amazon SES (Simple Email Service) is only supported in 3 regions. 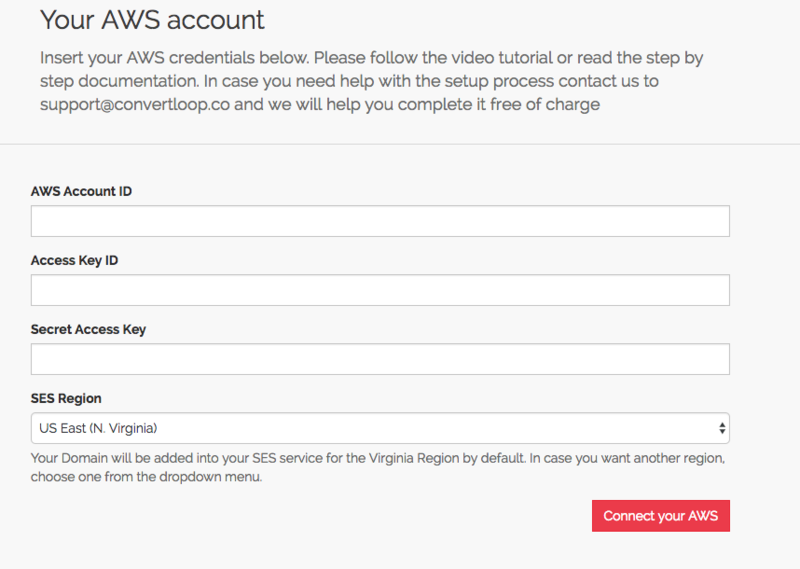 To make sure you can send your emails, select US East (N. Virginia) as your region, as Amazon SES is supported here. 2.3 Click here to go to the "Add user" section. NOTE: Remember that in order to create your user IAM, you must click here to go to the "Add User" user in your Amazon AWS Account. 2.4 In the "Add user" section, click on the blue "Add User" button. 2.5 Next, type in a name for your user IAM. 2.6 Then, select the "Programmatic access" option. Continue. 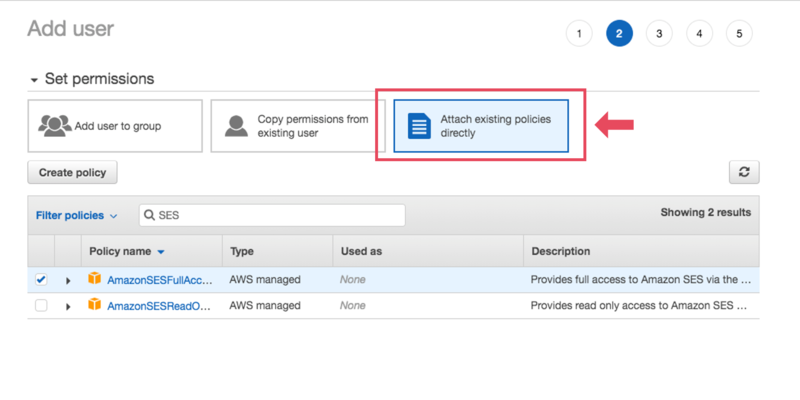 2.7 At the top of your screen, select the "Attach existing policies directly" option. 2.8 Go to the search bar, type in " SES ", and press enter. 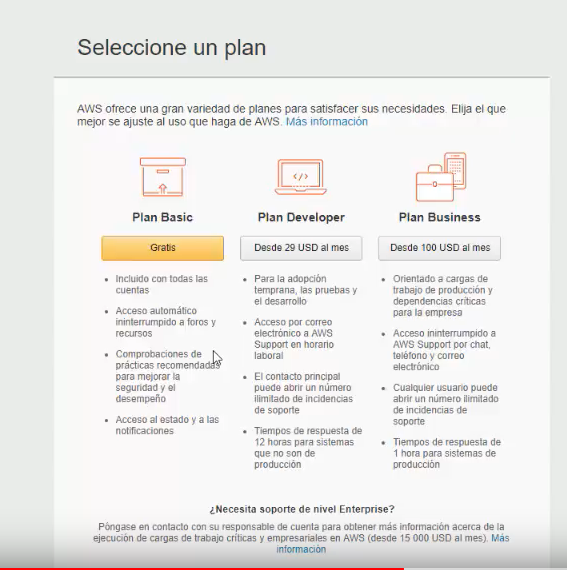 Select AmazonSESFullAccess from the different options. 2.9 Go back to the search bar, type in " SNS ", and press enter. Select AmazonSNSFullAccess from the different options. Continue. 2.10 Next, Amazon will give you the option to "Add tags", but you can skip this step. 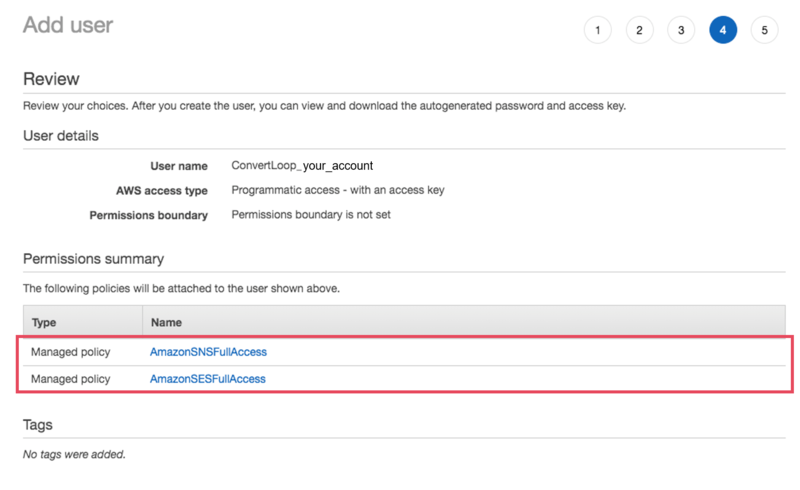 2.11 Review that you have added AmazonSESFullAccess and AmazonSNSFullAccess to your user IAM. Continue. 2.12 Finally, you will reach a screen telling you that your user IAM has been successfully created and the necessary policies have been attached to that user. 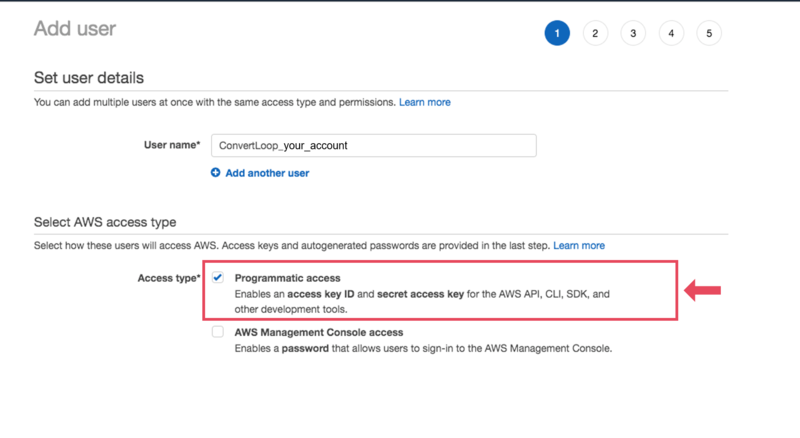 Remember that you need the Access Key ID and the Secret Access Key to integrate Amazon AWS to ConvertLoop so we highly recommend that you download them by clicking on the "Download .csv" button you will find on the left. NOTE: Once you create your Amazon AWS Account and your user IAM within that account, Amazon may show you this notification informing you that it can take up to 24 hours for your Amazon SES Service to activate. 3.1 Sign into your ConvertLoop Account. 3.3 Enter your Access Key ID, Secret Access Key, and Account ID credentials into your ConvertLoop Account. Access Key ID: You will find it in the CSV file you downloaded on Step 2.12 of this guide. Access Key: You will find it in the CSV file you downloaded on Step 2.12 of this guide. 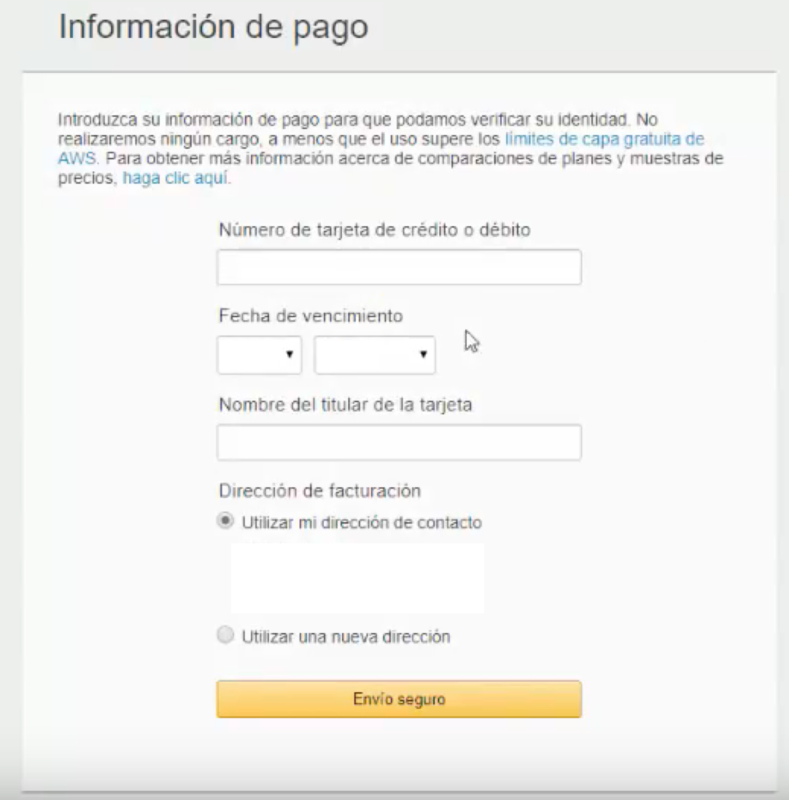 Account ID: You will find it by signing into your Amazon AWS Account, in the My Account section, when you click on your name at the top right hand corner of your screen. 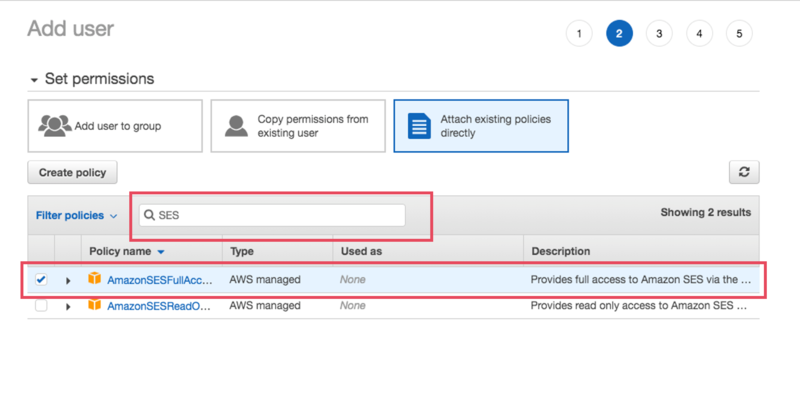 To increase the email sending quota/limit for your Amazon AWS/SES Account, you need to get your account of the "Sandbox" mode and switch to production mode. To do this, you must submit an email sending quota ticket on Amazon SES by filling out the form you will find in this link. Enter your website's URL if you have one. Select "Desired Daily Send Quota"
Enter the maximum number of emails you are planning on sending in per day. We strongly suggest you enter 50,000 emails, which is the common amount Amazon grants new users. If you need to increase this number in the future, you may do so as many times as you require. Describe what your business does, the types of emails you currently send your email database, the number of contacts you currently have, how you've captured the email addresses in your database, and that they can unsubscribe from your emailing lists if they wish to (ConvertLoop allows you to do this by inserting and unsubscribe link in your emails). As to the way you capture the email addresses in your database, it's important to mention the online lead capture forms you have, that people subscribe to your mailing lists during events, etc. It is not a good practice to buy email lists online. "My business is a training company. We build our mailing lists with inbound marketing, and people who sign up online or offline (via events) to our mailing list. We have a mechanism to handle bounces and complaints throughout our email service provider client, and we have a total contact list of 80.000 subscribers which we project is going to increase in a monthly base. We send newsletter emails, product and service updates, and relevant information based on our subscribers' interests." Select Web and then submit your form. NOTE: Once you've submitted your request, you will receive a response in the following 48 hours. If you have any additional doubts about increasing the daily sending quota for your Amazon SES Account, click here to learn more. 5.3 Enter the email address you want to verify and click on Verify this Email Address . 5.4 Open the the email inbox for the address you want to verify and you should have received an email from Amazon. Open the email from Amazon and click on the confirmation link. For example, if you're verifying john@mycompany.com, Amazon will send a confirmation link to john@mycompany.com. After completing these 5 steps, you will be ready to start sending emails from ConvertLoop via your Amazon SES Account. NEED HELP? If at any time you need help completing this process, please write us at support@convertloop.co and we will be happy to schedule a free video call to guide you.